Native to the subtropical and tropical areas of Asia, the plant has been cultivated worldwide. Images shown were taken with an iPhone in the wife's garden. It's important to get them posted today because the month of March will soon end. I like to post flowers during the season they begin blooming. Here ya go. 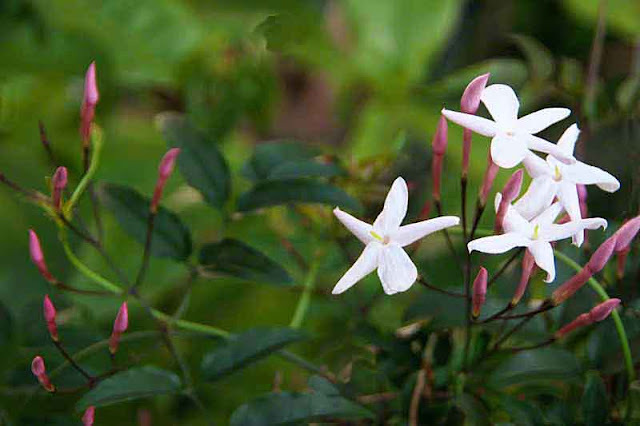 There are over 200 types of Jasmine plant in this species. 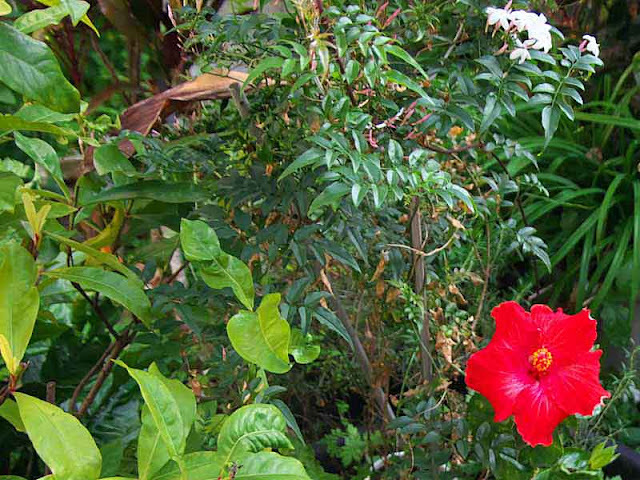 The flowers may be seen growing as shrubs or the plants may be vines. 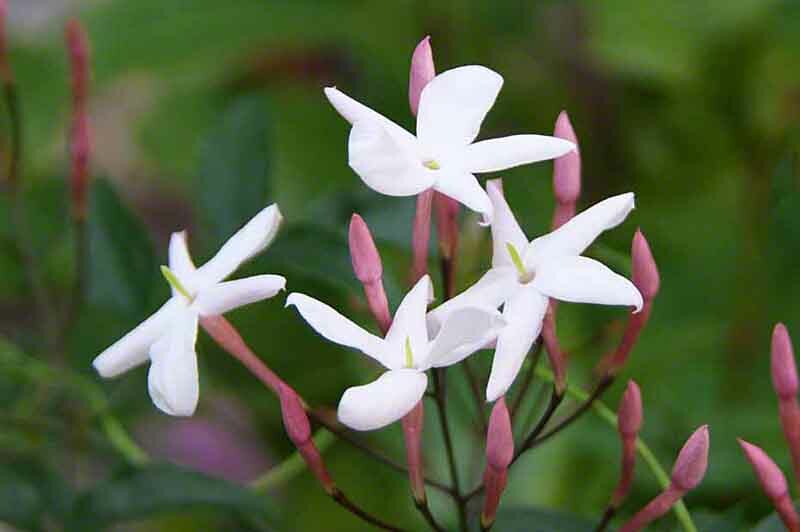 Jasmine is used in weddings and religious ceremonies around the globe. Oil extracts flowers is used in lotions, perfumes, shampoos, and soaps. The scent of flowers is strongest in the evening hours. Women know this. If a single woman plants the stuff outside her bedroom window, caution. It May Be a Trick to Get Access to your Bank Accounts! Backing off a bit shows the size of Jasmine flowers, compared to a Hibiscus. 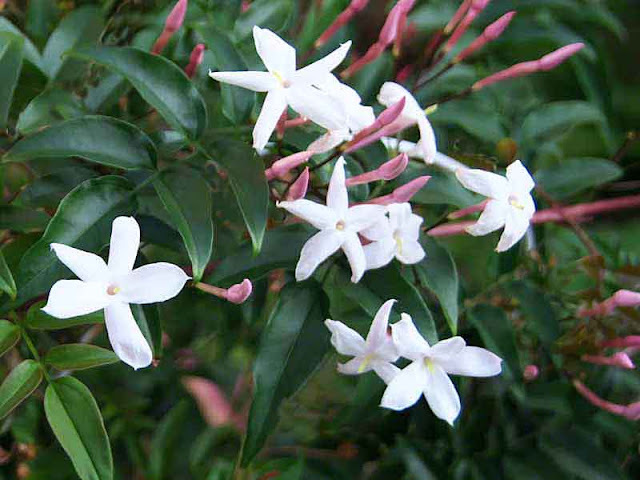 The Jasmine flowers are about an inch in diameter. Photo - Top Left.